Drake is still pushing his latest tour which is currently making more hits in London. 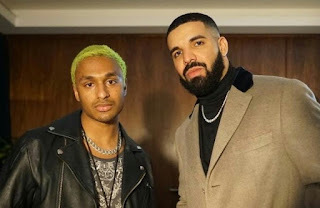 Drake also use us Assassination Vacation Tour to pay tribute to Nipsey Hussle who was shot dead last month. His touring is a straight hand which has table goodies for the God's Plan singer. The Toronto rapper always step out just to visit London and lover over here is being loved my fans. This time, Dreezy is simply on the verge of new. In fact time around, he’s taken it to a bit of new territory. He has appears on a new Vlogs heading which reads How Much Is Your Worth. Watch below but you should also consider how much is Drake's worth.